Stirrup Bags : Stirrup Bags "Purple Black Provence"
Home Stirrup Bags Stirrup Bags "Purple Black Provence"
Our Stirrup Bags will keep your stirrups pulled up when lunging your horse. 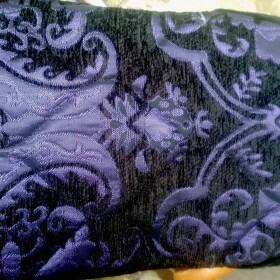 Elegant shimmery purple with black chenille "Purple Black Provence" Stirrup Protector. Tags: Stirrup Protector, "Purple Black Provence"